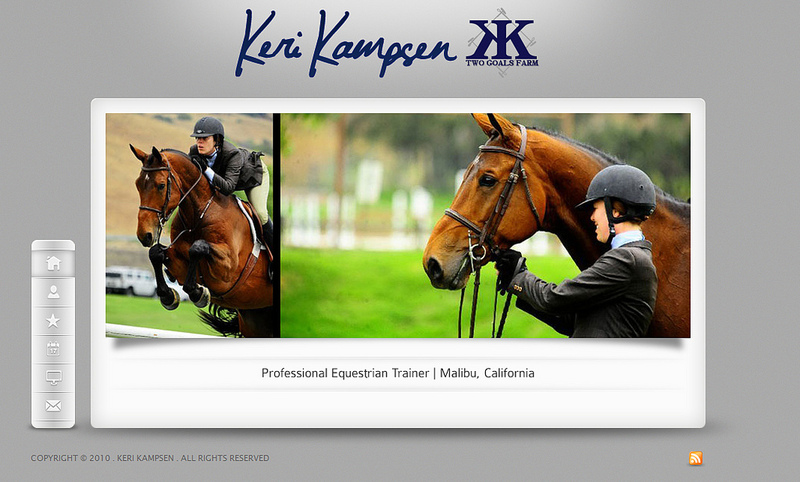 We created a homepage for professional equestrian trainer Keri Kampsen and her barn Two Goals Farm. Keri needed a website where she could share her schedule, photos, and accomplishments as well as provide a contact form for prospective clients to reach her or the barn. This project also included logo design and business cards.